It's a funny thing, how tastes change over time. When I was younger, I would dismiss much of the western genre because I deemed them "boring" before I even laid my eyes on a single frame. Now I lay those very same eyes on just one frame, a wide open landscape so seemingly vast, so barren and yet I find it impossibly beautiful. The me of the past would have viewed this type of setting as lifeless and meaningless. The me of the present sees something haunting yet appealing, like I wish I could get in my car right now and drive there and just breathe in the fresh air, bask in the freedom of silence. 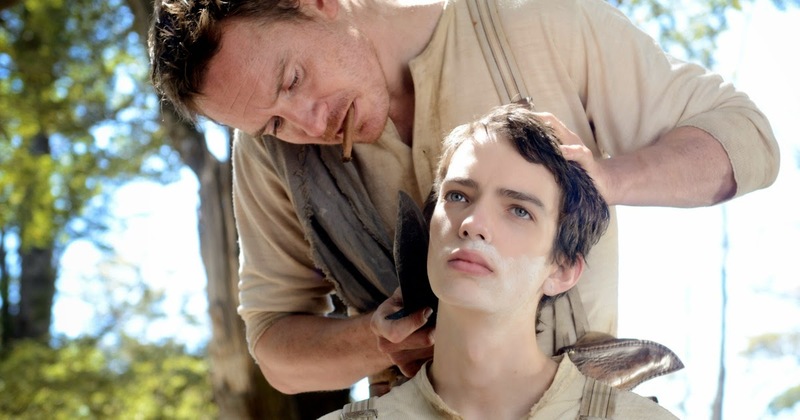 The brand new film Slow West isn't going to be a hot cinematic topic around the water cooler, released during a time when the massive summer blockbusters begin to dominate not only the box office but the minds of those looking to be entertained as well, but it is certainly worthy of your attention. It doesn't reinvent the wheel when it comes to the western genre, but rather it thrives when it embraces its influences. Sure, much of what takes place feels familiar, but when it is crafted well I really don't care. I am more than willing to step onto grounds already walked as long as they remain this aesthetically pleasing and brilliantly performed. The debut film from writer/director John Maclean has a first act that sets the table gorgeously, and I really thought I was in for something profoundly special early on. We meet Jay Cavendish (Kodi Smit-McPhee) and his trusty horse and immediately he finds himself in danger, but there to help him out of a jam is a mysterious desperado named Silas (Michael Fassbender) whom we quickly discover is more than willing to kill any man that gets in his way. Turns out Jay is on a quest to be reunited with the love of his life Rose (Caren Pistorius) and he agrees to pay Silas to guide him and protect him during his journey. What is clear early and often is that Maclean may be new to this game, but the man can certainly write and direct. 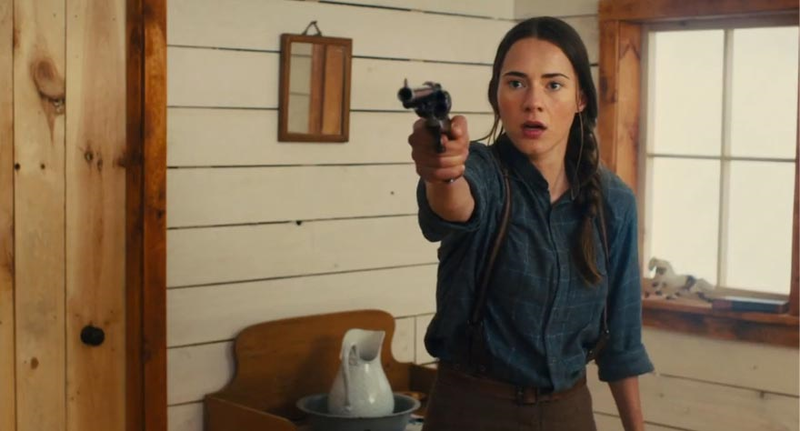 Slow West isn't a perfect film as it is actually too short and still manages to have a second act that feels like it drags a bit, but the way it starts and the incredible finale make me very excited to see what kind of work he can do in the future. If he would have just let the great moments breathe a bit more rather than rush through them and found a way to trim and enhance the less compelling middle, I would be promoting Slow West as a truly remarkable piece of cinema from 2015. What it is though is really, really darn good with moments that are beyond great. 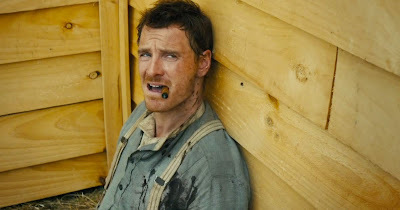 If you are a fan of westerns, or hell even if you are not, give Slow West a look.